Bridge Nine Records have launched a special 30th Anniversary t-shirt collaboration with SSD, now available. We worked with the band to re-issue 6 different designs, on XClaim! branded apparel. Pick up one or all 6! 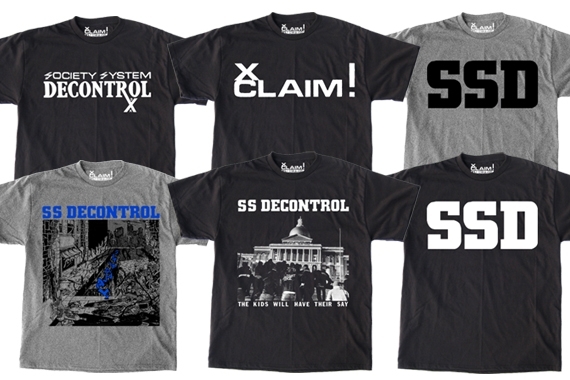 Unlike most SSD t-shirts available over the past 20 or so years, these are officially sanctioned by SSD/XClaim. Check them out HERE! Tags: Bridge Nine Records, SS Decontrol, SSD, Xclaim. Bookmark the permalink.